Create your very one STEM Media Mashup with tech extraordinaire, CodeCreate’s Jeff Sweeton. 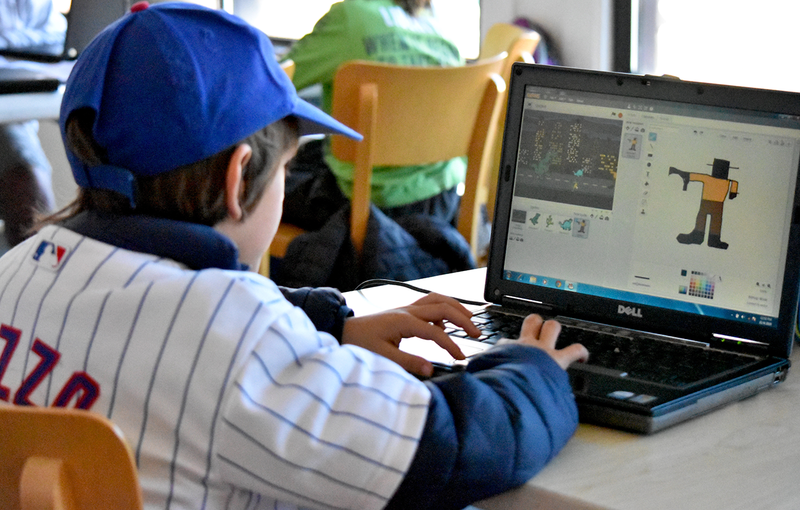 In this workshop, CodeCreate’s Jeff Sweeton teaches kids to use science, technology, engineering, and math (STEM) to bring their creative ideas to life. Students can choose to make a short film, animation, photo essay, or even a video game, website, or animatronic character. The sky’s the limit when creating STEM media mashups. Jeff Sweeton has been producing and teaching digital video, film, photography, web development, coding, and writing for over fifteen years. The founder and facilitator of CodeCreate Technology Education, Jeff has led workshops with Intel Start Making!, Mozilla, The MacArthur Foundation, The Art Institute of Chicago, Google, Facets, and many others.